Yesterday was one of those awful snowy days in Seattle. I'm a Midwest girl, so a little snow never hurt anyone when I was growing up. Out here it is a different story. Barely a few inches fell, but the streets and interstates were basically shut down. It took me 5 hours (5 HOURS!!!) to drive 40 miles! So, lucky for me, today is a snow day. Below are a few of the pictures I started taking yesterday before my camera battery died. The plan was to retake the photos when I got home from work. Unfortunately, this plan did not include me waiting for 5 hours (5 HOURS!!!) in my car on the way home. I decided to just use the ones I took yesterday morning instead of retaking them in the dark and snow. The snow started innocently enough. I had no idea that the city would shut down just a few hours later! Below are the pictures I took today. It is actually Day 16, but since I didn't have any number pictures yesterday I decided to hold up 15. This last pic of you is adorable. You look care free and not even the least bit cold. you look wonderful in red, so lovely. Kinsey-I adore that red coat and...well...basically the red on red in general! I would have had SUCH road rage if it took my 5 hours to go 40 miles, just thinking about it makes me want to scream. Giiiirrrrl, send me some of your snow! I'll gladly share! It's warm and balmy here. Gross. LOVE both yesterday and today's outfits. You're so creative and gorgeous. Leopard looks incredible on you, too! I absolutely love the first set of pictures. I think they turned out really nice. Love the coat. RED!!! I love the red!!! I hate the snow, however. Snow is NOT for this southern girl! both of those coats are gorgeous! I don't invest in many heavy coats (not much need for them in FL) but I envy those who can and do. You look so chic. Also, 5 hours is insane. IN.SANE. 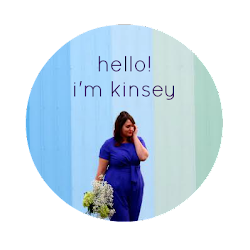 I just came across your blog from Kendi's and added you to my bloglovin! I really like the elements of your style. 5 hours to go 40 miles sounds horrible... i love your red on red! it looks pretty fabulous! and i am super jealous of the snow fall. it's hot and humid here in Alabama. booo. Isn't amazing? Here is Portland we got a dusting (I was hoping for more and I am jealous looking at your pictures), but the schools were all either delayed or closed. I'm from Upstate NY and it never ceases to amaze me how ill-prepared people are here for snow. Sorry you got stuck in terrible traffic due to the snow. I love that white Jessica Simpson coat. I am always surprised how much I like the things she designs. I love both of your coats, and the leopard top is incredible! You look fab as always! That top is Merona from Target???? I love it! MUST go get it. Happy Thanksgiving! I was going to leave my comment on your most recent post, but I had to leave it here. 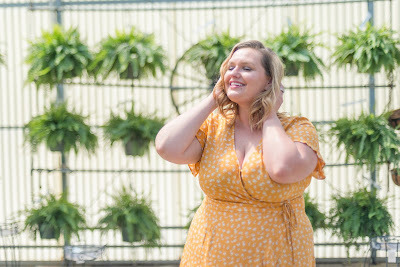 First if all, I'm so happy to find another Seattle fashion blogger. You're going on my sidebar. You mention being from the Midwest but you're in Seattle now so that's where I'm listing ya. Second, the reason I'm commenting on this post is because of the snow topic. I always tell people who've moved here from places that get lots of snow that the town will shut down with just one inch of snow. You pretty much said the same thing. It's so true! Do people who've lived here their whole lives tell you that it's because of all of our hills and inclines/declines? That's what I always say. Sorry about your commute. My :15 min bus ride turned into 2.5hrs but I don't complain. My co-worker was with me so we kept each other company and in conversation. My manager left at 4pm and her usual ~45min bus ride saw her getting home at 3am! Anyway, back to fashion . . . look forward to the rest of your 30s.